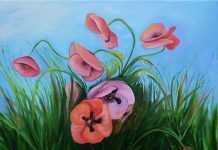 According to gallery owner Megan Ottens-Sargent, the show celebrates the abundance of life in both conspicuous and hidden places of the local environment. The phrase bios kentron derives from the Greek for biocentrism. In contrast to anthropocentrism, it emphasizes the inherent values of nature. In keeping with the gallery’s mission, the latest show will benefit BiodiversityWorks. The local nonprofit promotes conservation and biodiversity through wildlife research, monitoring, and hands-on nature study. 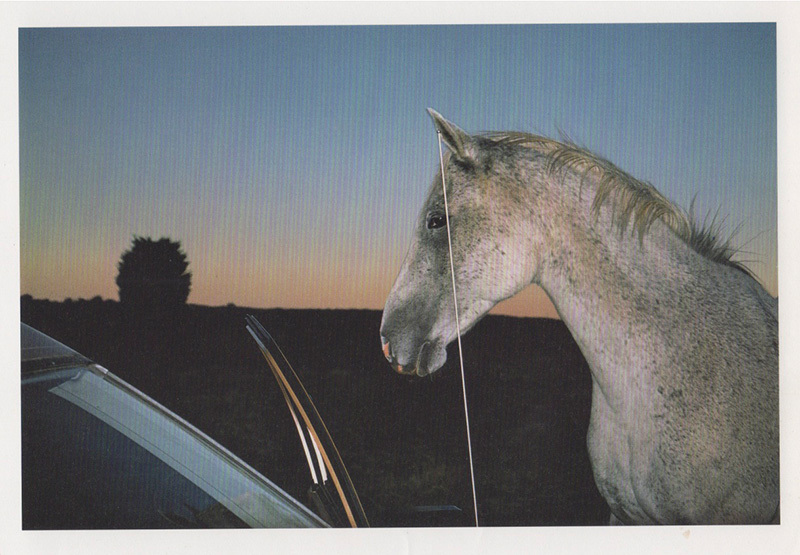 Her most compelling and unusual work depicts domestic animals and wild ones as they interact with the human environment. 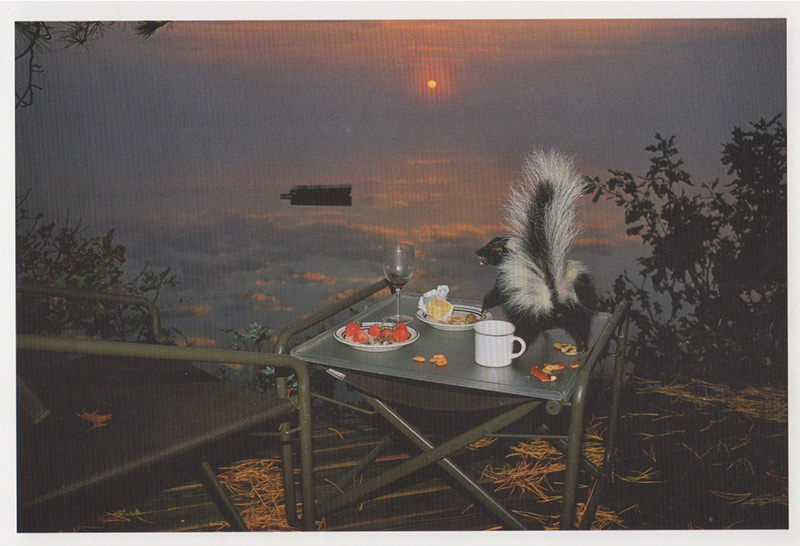 Norfleet entices these creatures with food onto human clutter, sometimes at dumps and usually at night, startling them with her camera and flash. On exhibit are Cibachrome (a hand color printing process) photographs from “Manscape with Beasts.” In addition are large-format Cibachromes of swamps and wetlands from “Dark Eden.” Most of Norfleet’s work has not been shown before at the gallery. 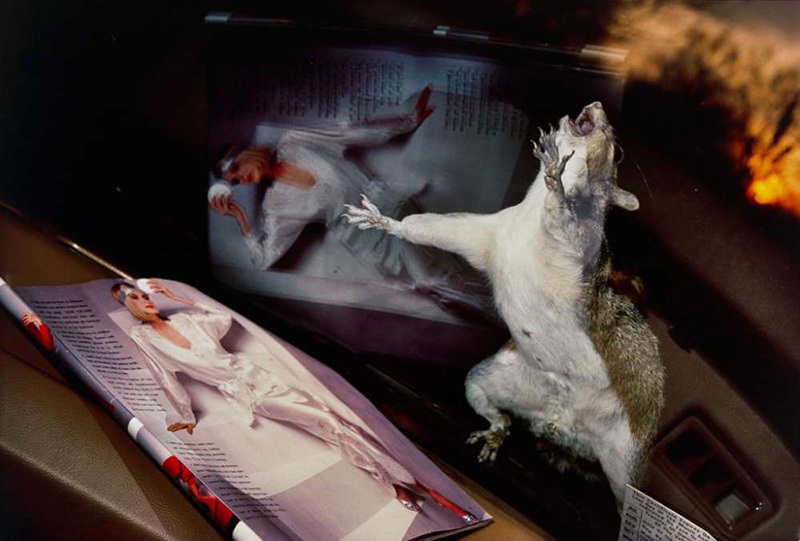 In “Eastern Gray Squirrel on Windshield,” the creature stretches belly up in agony or ecstasy above a magazine open to an image of a woman in white silk pajamas, which is also reflected in the windshield. The primarily black background spotlights magazine and squirrel. In “Skunk and Strawberries,” light pinpoints the exquisite detail. “Dark Eden no. 7” uses a centered tree trunk to focus on its unusual red cracks in a background of trunks and green foliage. Another swamp image, “Dark Eden no. 5,” picks up rust-colored sections of water in a background of trunks and greenery. Both emphasize a color not usually associated with the green of landscapes. Howells’ work complements Norfleet’s swamp images. This oil painter divides her time between Pacific Palisades, Calif., and Sengekontacket. 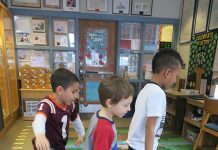 She paints landscapes en plein air (outside), which requires working quickly to capture light, place, and movement. “Painting en plein air is my way of honoring the land and expressing a reverence for nature,” she says, adding that it is about change. She attempts to paint overlooked places rather than the obvious. She often works with thick brush strokes that enliven the scene. 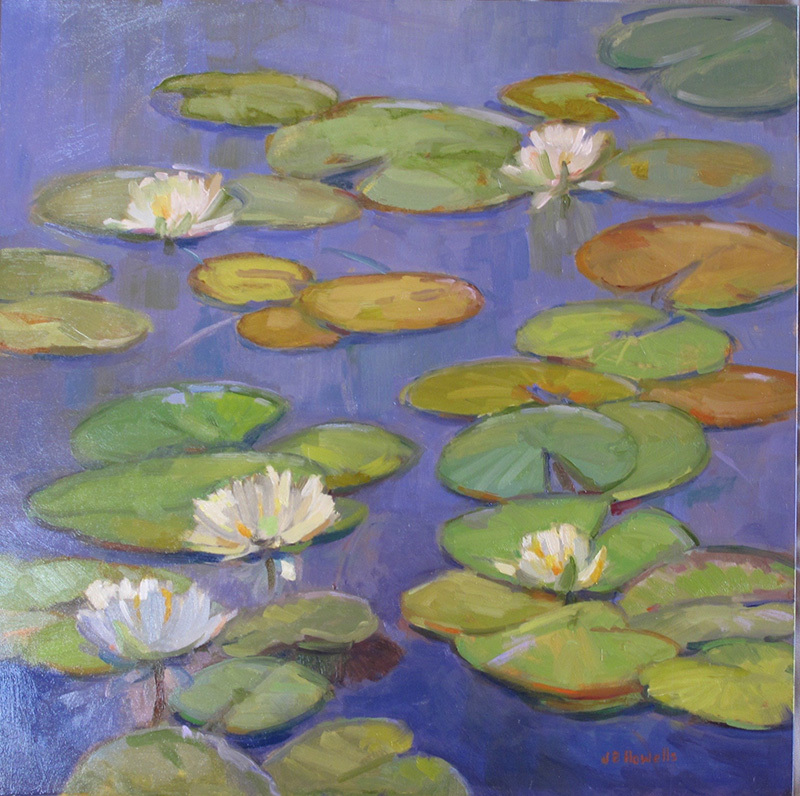 Martha’s Vineyard landscapes and water lily paintings are on view. 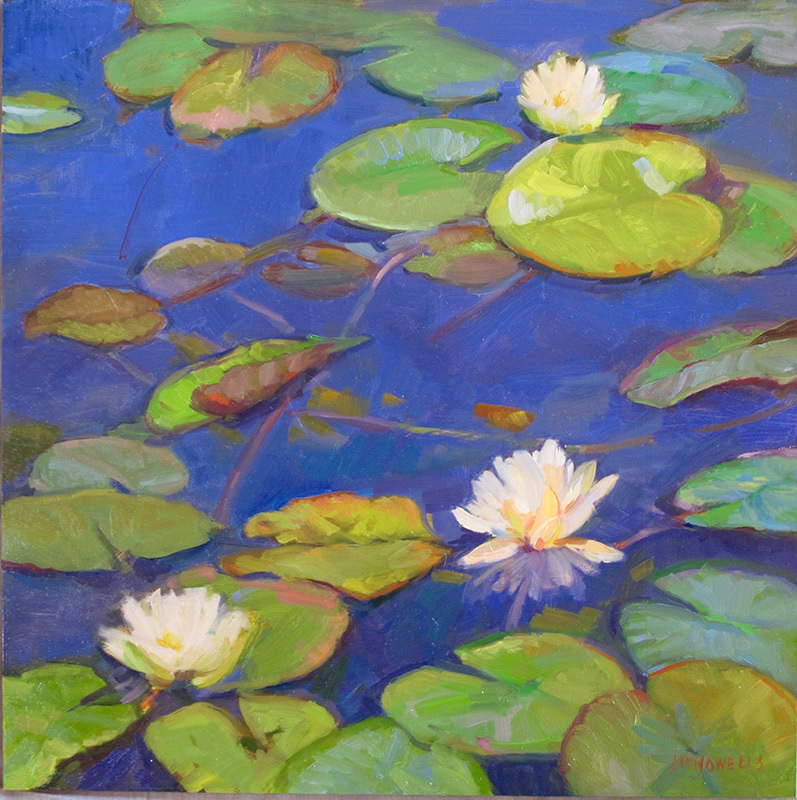 “Sometime in Morning Lights,” “Careless and Content,” and “Where the Dragonfly Wanders” all depict black-outlined lily pads with blooms in compositions that feel pleasingly abstract within their representational frameworks. 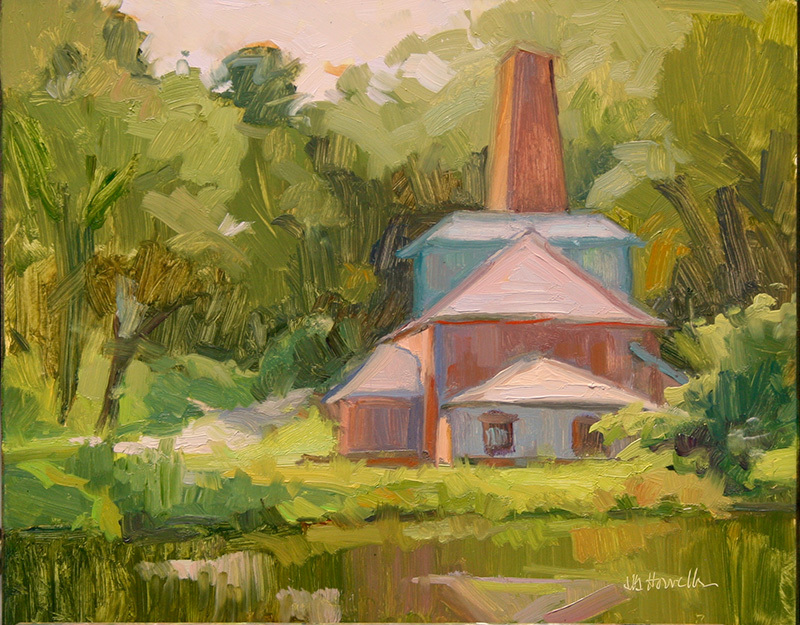 “Tisbury Waterworks” is one of the few paintings containing a building. 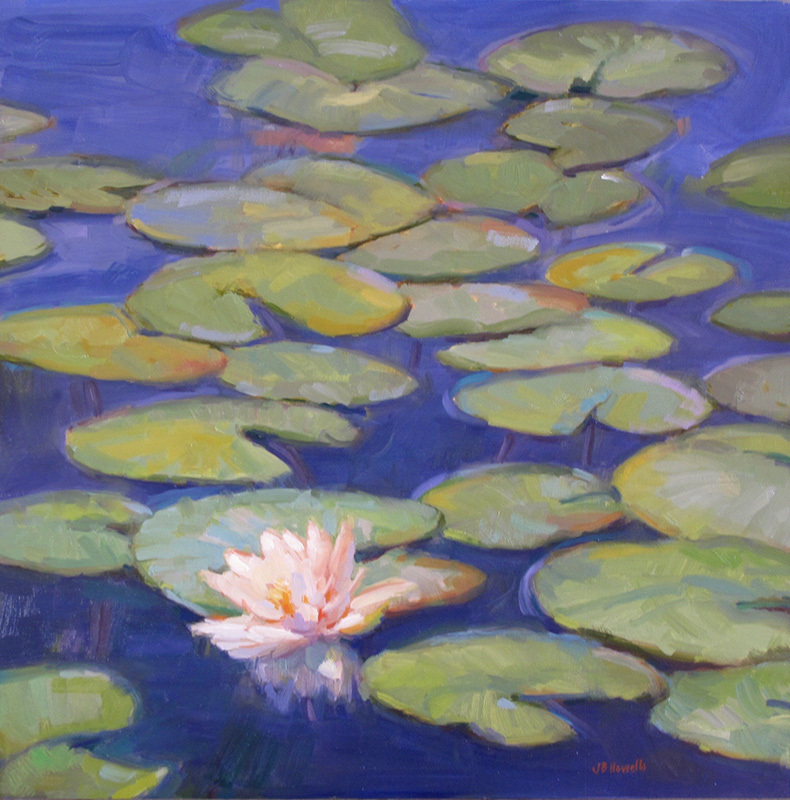 Howells uses her broad brushstrokes to enrich the composition. 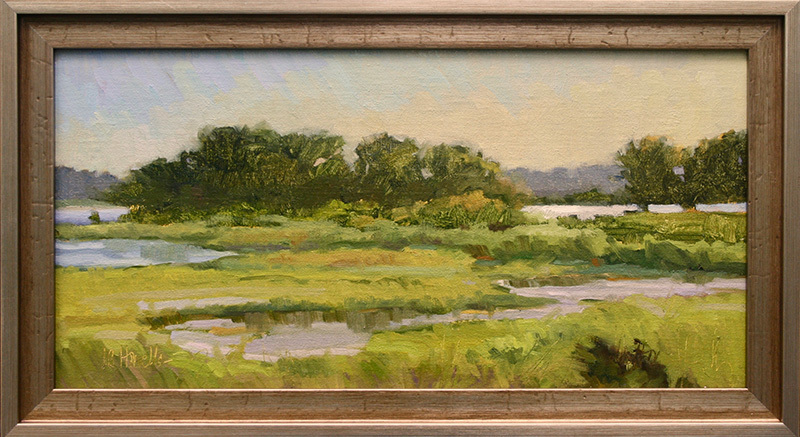 “Duarte 1” and Duarte 2” paint salt marshes in the foreground with dark foliage rising behind. Both employ a satisfying use of detail. 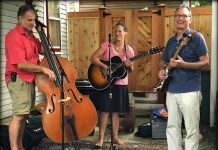 “Bios Kentron” at Sargent Gallery, 832 State Rd., Aquinnah. Exhibit remains on view through Labor Day, Sept. 3. Other artists represented by the gallery will also be on view. sargentgallery.org.